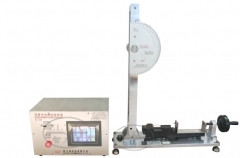 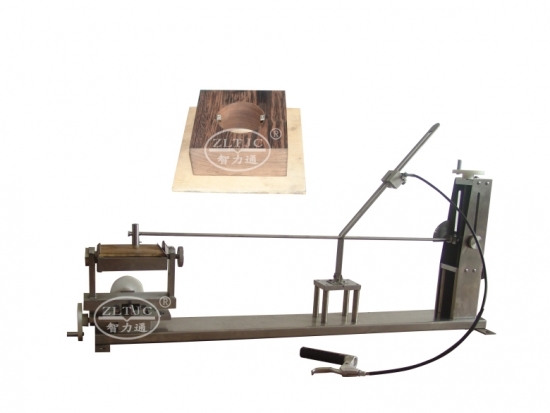 To test the mechanical strength with impact energies of 0.14 J up to 1.0 J, striking element according to IEC60068-2-75 Tab. 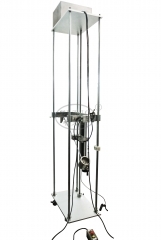 1 and Tab.2, similar Annex D.
1 tubular pendulum arm of stainless steel, external diameter 9 mm, wall thickness 0.5 mm, effective pendulum length 1000±1 mm. 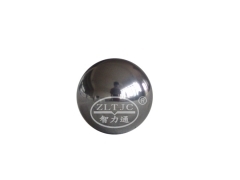 2 striking elements, mass 200 g and 250 g , spherical segment-shaped polyamide insert R 10 mm,85≤HRR≤100 Rockwell hardness. 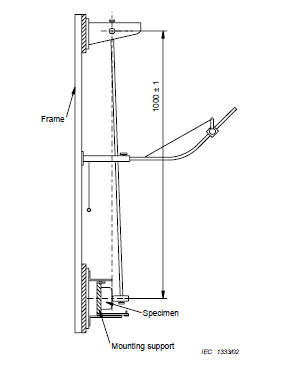 1 basic frame, height approx.1270 mm, width approx. 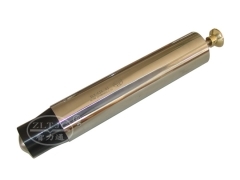 200 mm, with bores for screws for mounting on a wall. 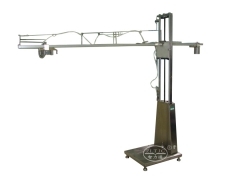 1 extension arm, vertically adjustable, with release mechanism for the pendulum, scale for height of fall horizontally adjustable. 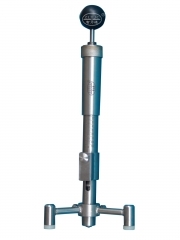 1 mounting Fixture according to IEC60068-2-75/1997-08 Annex D Fig.D.3, with steel block 175 mm*210 mm*35 mm, mass 10 kg, turnable around its vertical axis and to be clamped with tommy-screws, sheet of plywood 175 mm*175 mm*8 mm, in clamping rails movable to the sides and to be turned in steps of 90°around its central axis rectangular to the sheet of plywood. 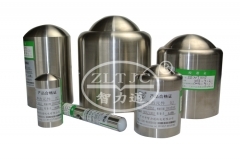 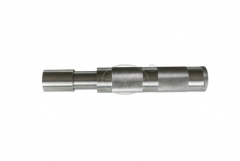 ●Material of construction made of stainless steel. 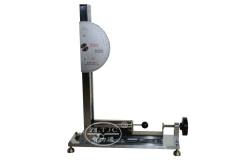 ●Mounting block, similar to IEC60068-2-75/1997-08 Annex D Fig D.4, for testing flush-type specimens, made of beech 125 mm*125 mm*50 mm, with through bore diameter 65 mm, on plywood sheet 175 mm*175 mm*8 mm. 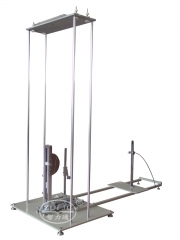 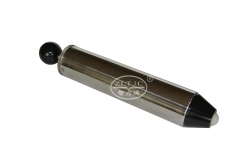 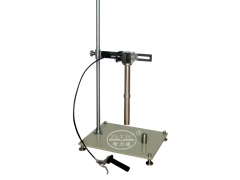 ZLT Pendulum Impact-Test Apparatus for impact energies up to 2J.